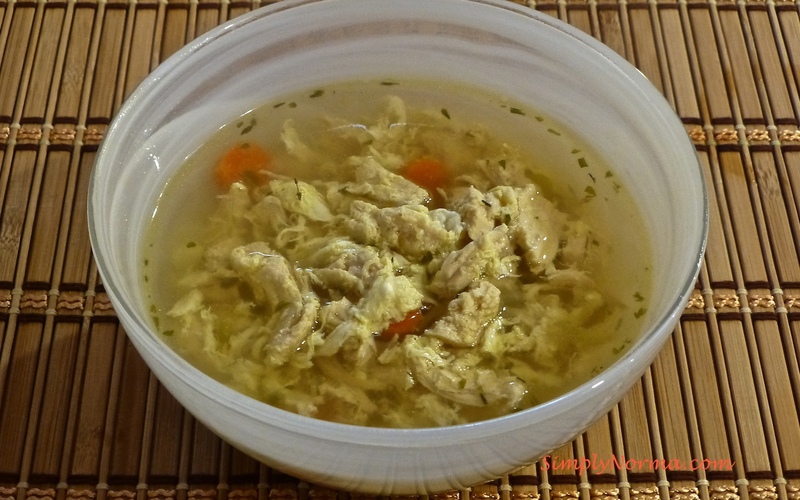 I absolutely loved, loved and loved this paleo Chicken Soup. Even my “hum-ho, it’s okay” husband thought it was really good. That means I’ll be making it again. The instructions say to shred the chicken and after I cooked the chicken and let it cool, I used my hands to cut the chicken into bite sized pieces. It was fun! So … here are the instructions for you to try this wonderful soup — let me know if you change anything in the recipe as I made a few changes myself. In a large skillet, on medium heat, add 2 tablespoons of coconut oil. Once the oil is heated, add and grill the three chicken breasts until cooked through. If the chicken breasts are thick, you can slice them in half before adding them to the skillet to make sure they get cooked all the way through. Once the chicken is cooked, remove it from the skillet and set it aside to cool for approximately 10 minutes. 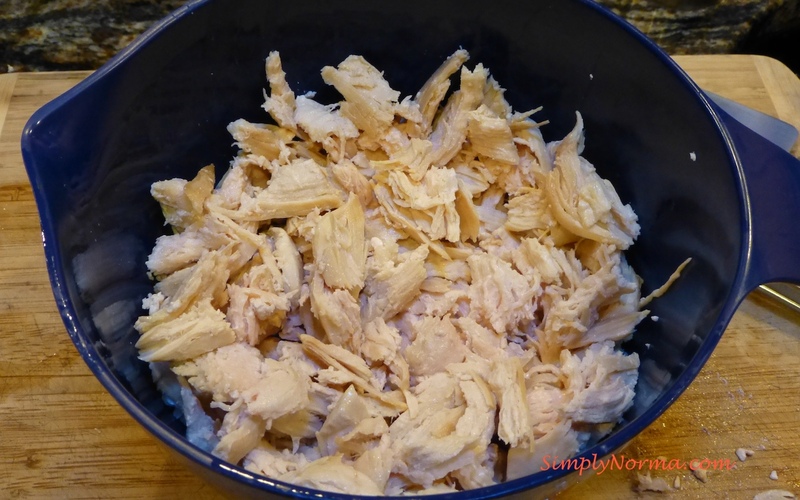 After the chicken is cooled, shred the chicken with your hands into bite-sized pieces (or use a knife to cut it up). Set this aside until needed. Heat 2 tablespoons of oil in a large pot over medium-high heat. Add the onion, carrot, and celery then cook until the vegetables are soft. Stir in the thyme, broth, and the chicken. Bring everything to a simmer and cook until the vegetables are tender, about 20 minutes or so. 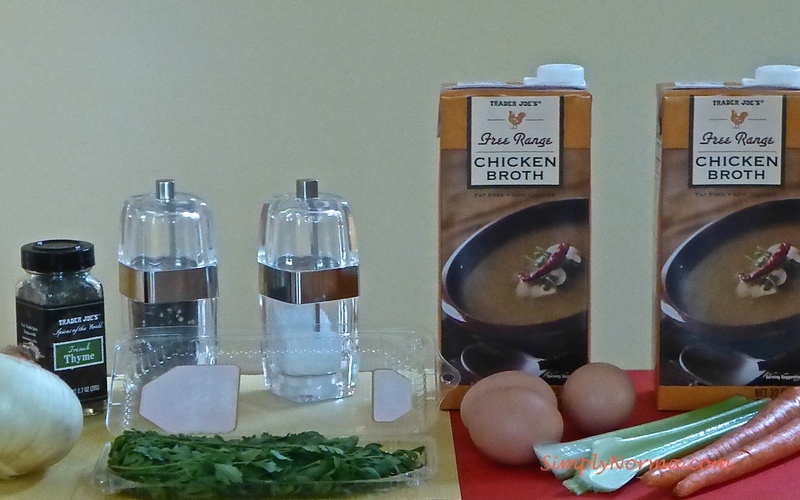 Pour the beaten eggs into the soup in a slow steady stream and stir slowly. Remove the soup from the heat then add salt and pepper according to your taste. So delicious! The cold Minnesota nights just got a little bit warmer because of this soup.